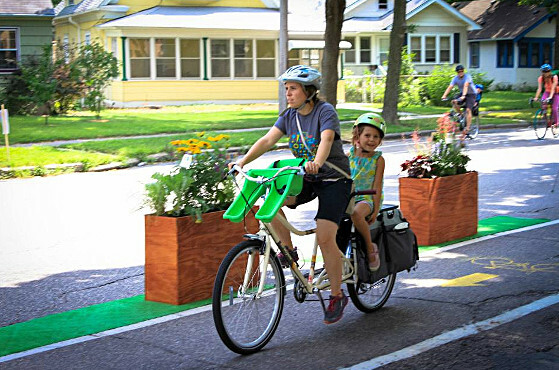 Description Large home made planters designed to create a barrier for protect- ed bike lanes, plazas, median islands, and more! Typical Dimensions 36 in. high x 15 in. wide x 4 ft. long. Bikeways Center wood planters within the buffer zone along the edge of the bikeway. Typical spacing should be 8 - 20 ft. between crates, depending on the thoroughfare’s design speed / bikeway configuration. Allow a minimum of 1.5 ft. clear width for installation. Median Islands May be used to demarcate median area where width per- mits. Place approximately 2 - 3 ft. apart. Provide a minimum 6 ft. break for crosswalk/pedestrian accessibility. Curb Extensions Place along edge, approximately 1 planter every 6 - 8 ft., can be used to buffer mid-block curb extensions from parallel parked cars. 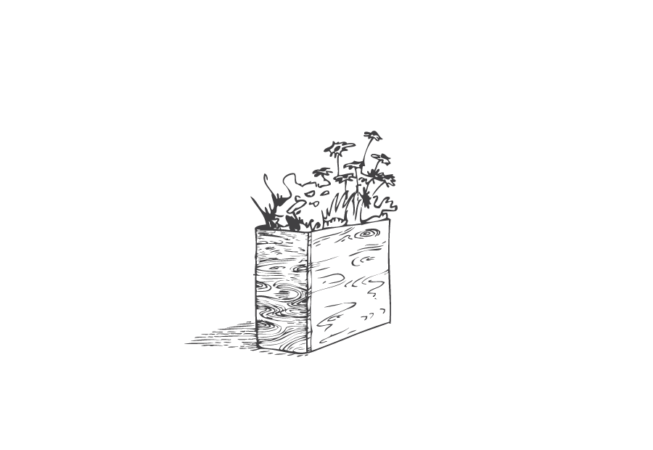 Plazas / Activated Alleys Use planters to define edge, every 8 - 10 ft. May also be used to provide landscaping/greenery throughout the area. Cheap and easy to build. 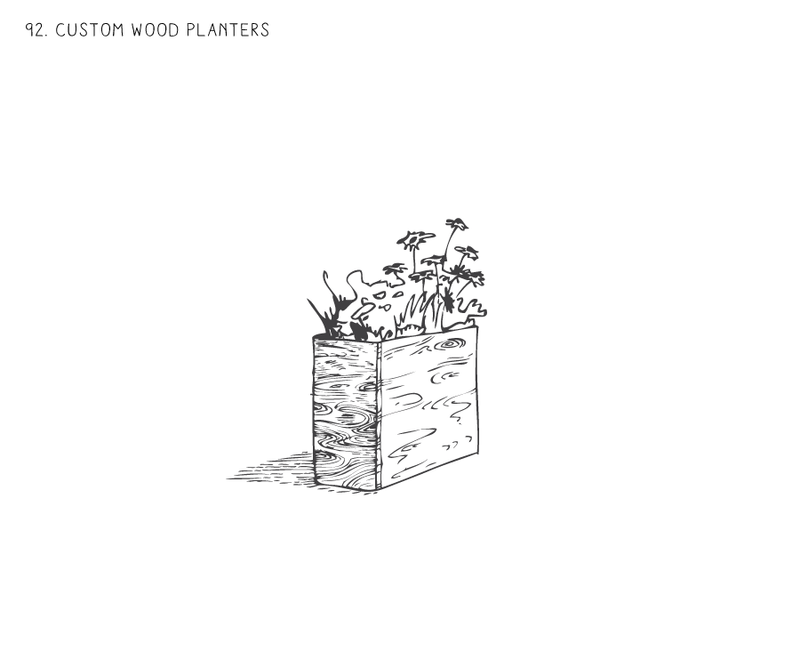 Assemble on site - use potted plants to set in false bottom. Can be heavy/difficult to lift and transport. Reclaim and repurpose shipping pallets. Purchase supplies from local hardware store and create.